As Hurricane Florence begins to hit South Carolina, the latest estimates on its intensity are coming in slightly lower than previous forecasts. But the financial toll is still likely to be steep, in no small part because it’s scheduled to hit coastal areas with extensive and expensive real estate. Risk analytics firm CoreLogic says almost a million homes in North Carolina, South Carolina and Virginia can expect to be impacted by the storm, on top of any human toll. While the wind and rain that come with hurricanes do their fair share of damage, the accompanying storm surge — where the storm drives several feet of sea water over land — tends to do the most damage. Based on data available Thursday, CoreLogic was forecasting the rebuilding costs of Florence could top $170 billion US, most of which won’t be covered by insurance. While it could prove to higher or lower, that eye-popping figure is enough to include Florence on a rapidly expanding ledger of the costliest natural disasters in American history. Katrina in 2005 still stands atop that ignominious list, but a look at the data shows more expensive storms are washing ashore every year. The three big storms of last year — Harvey, Irma and Maria — all came with multibillion-dollar price tags not just because of their intensity, but also because they hit coastal areas with expensive real estate, relatively dense populations and inadequate infrastructure. In Harvey’s case in particular, poor urban planning was a major factor in why the damage was so severe. The city of Houston was founded on swamps more than a century ago. As the area expanded and prospered because of the nearby oil industry, developers paved over more land, diverting water as best they could with concrete culverts. By the time Harvey came to town, despite living on a flood plain, less than 20 per cent of homeowners in the area had flood insurance, which made losses even worse than they should have been. A report Thursday from ratings agency DBRS noted that some of the fastest growing areas in the U.S. over the past several decades are situated in coastal areas in the southeastern part of the country. Coastal counties in Florida have seen population growth of 165 per cent since 1970, while South Carolina has grown by almost as much, 127 per cent. Texas’s coastal population has more than doubled, and North Carolina’s has increased by almost as much over that period. Contrast that with the U.S. population as a whole, which has increased by a little more than half over that same time frame, and the conclusion becomes clear: more people are moving to places directly in the line of fire, and that’s making it even more expensive to rebuild when disaster inevitably strikes. 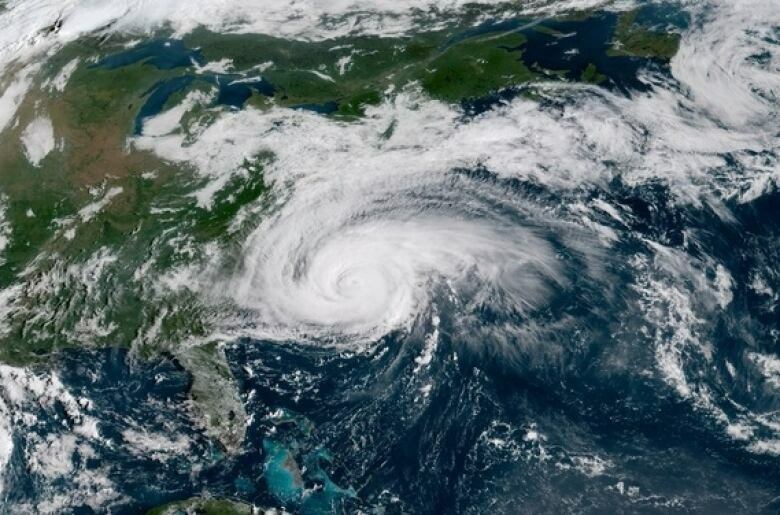 “These are states that have been directly impacted by a major hurricane,” DBRS noted, adding that of all Category 3 or higher storms that have made landfall in the U.S. in the last century, almost 90 per cent hit either Florida or Texas. That’s ratcheting up the costs of reconstruction. But it’s not just hurricane-prone areas that are seeing the economic impact of natural disasters skyrocket. While Canada is rarely hit by a hurricane at peak intensity, this country is also seeing a growing number of wildfires, floods, tornadoes and other natural disasters. And the same psychology causing people to replant their roots in hurricane-prone areas in the U.S. is raising the costs of rebuilding after disasters in Canada, McGillivray says. The prevalence of relatively minor disasters such as basement floods is on the increase in Canada, but homeowners still don’t tend to heed the warnings. Cities replete with older housing stock, such as Toronto, have entire neighbourhoods that he describes as “soup bowls” but the vast majority of people in them don’t take any precautionary measures until it’s too late. If indeed they even do then. He notes that many Canadian municipalities have incentive programs aimed at getting homeowners to install backflow valves — small devices attached to a house’s sewage pipe that prevent sewage from the main city line from backing up into the house. But only a fraction of people take the bare minimum of such steps to prevent disaster. He cites Saskatoon, which until recently would fully fund the installation of a backflow valve for every homeowner who wanted one. “But basically nobody took them up on it,” McGillivray says. It wasn’t until that the city reduced the payout to 50 per cent that it saw a pickup in demand, likely from people wary of missing out altogether on a deal. The same can be said of people building and rebuilding homes in hurricane-prone areas. And while it may be a stretch to compare the violent damage from hurricanes to that of a wet basement, McGillivray says the thought process for people who don’t heed warnings is the same. “If it’s happened before and you don’t do anything about it, it’s going to happen again,” he says.